Sashin Thotha is a Director at FutureSoft, charged with Client Support and Training. 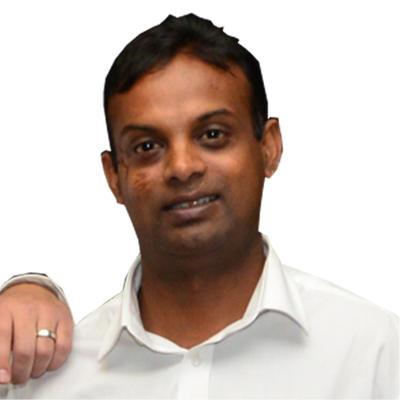 Sashin started his career in the credit industry when he joined Creditworx (then known as Snyman & Vennote) in 1996. Later on Sashin was appointed to the ranks of Branch Manager for one of the company’s network of branches. Sashin then joined RL Daly Incorporated as an Administrative Manager where he gained valuable experience in the Call Centre manner of performing high volume debt recovery. In this environment, Sashin was introduced to Excalibur, FutureSoft’s Debt Collection Management System. Later, Sashin was promoted to the ranks of Project Manager and was tasked with the volume debt recovery of Truworths’s Stores. In 2009 he moved to Gauteng where he was appointed as an Credit Control Manager with Altech Autopage Cellular, where he further managed certain recovery profiles on Excalibur. Sashin then joined the FutureSoft Team and brings to FutureSoft an understanding of our clients’ needs and a strong sense of strategic collections. [FUTURESOFT] Copyright © 2005 - 2016. All rights reserved.